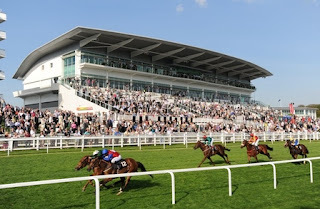 In the Investec Diomed Stakes (3.10) at Epsom on Friday, Arod was little disappointing when beaten in a Listed race at Ascot on his seasonal reappearance in April, but was entitled to need that run – his first since last November – and can resume winning ways. Peter Chapple-Hyam’s 5-year-old escapes a Group 2 penalty and, having comfortably beaten Custom Cut by 2 lengths in this race last year, should have no problem with the idiosyncrasies of Epsom. His second, beaten just half a length, behind Solow in the Sussex Stakes at Goodwood last July is far and away the best single piece of form on offer and, provided his fruitless trip to Australia last autumn hasn’t done any lasting damage, he must take a world of beating here. He’s yet to race on going slower than good to soft, so possibly doesn’t want too much rain, but otherwise had plenty going for him. At 5/2 with Stan James in the ante post market, Arod looks a decent bet to repeat last year’s win.